NASA is paying £14,000 to volunteers who's willing to lie in bed for two months just by watching TV and reading books. The idea was they want to understand how space travel will affect astronauts. 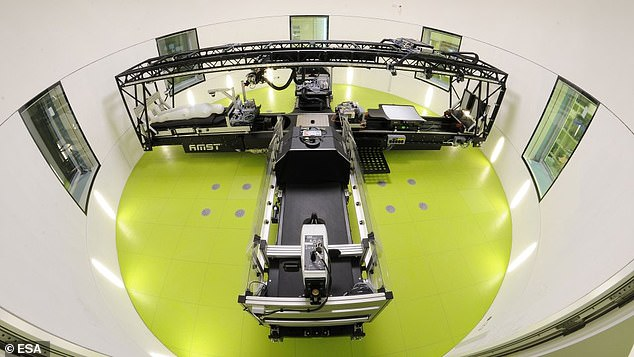 The Artificial Gravity Bed Rest Study was launched this week to study and investigate for the first time the use of srtificial gravity as a possible means of preventing the negative effects of weightlessness or the absence of gravity on the human body. and they are looking for 12 female and 12 male volunteers, aged between 24 and 55 to spend 60 days in bed. 'The use of artificial gravity might be the best solution for human health protection during human long-duration deep space missions,' lead scientist Dr Edwin Mulder, from the DLR Institute of Aerospace Medicine, told The Sun. The applications will close on May 24, with tests beginning September - though volunteers must speak German. Scientist wanted to see whether daily session inside an artificial gravity chamber could be used to stop deterioration on long distance missions to Mars and beyond.